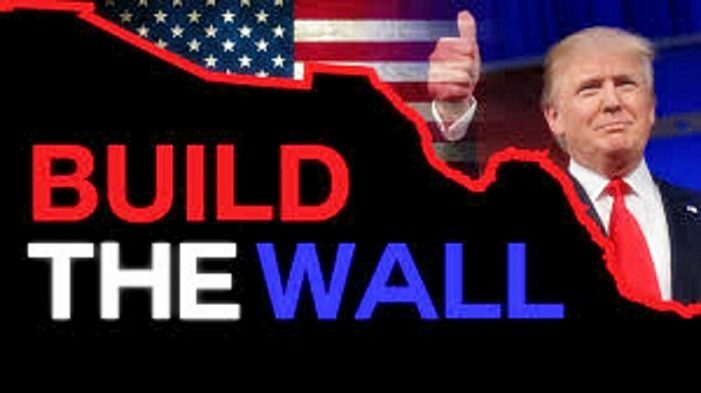 “Build the Wall,” “Build the Wall,” “Build the Wall,” – it was the chant of fervent Trump supporters throughout his campaign, and according to Breitbart News, the president had better heed those not so distant echoes. The poll also indicated that Trump’s supporters by a huge margin of 95 percent, approve of him building the border wall by declaring a national emergency. And therein lies the answer to the Democrats rabid opposition to a “wall,” or “barrier” or any structure that Trump can attach his name to on the southern border, even though they once voted for funding such a structure in the past. To do so now, will allow President Trump to claim he kept his central campaign promise. And although Democrats and the media know we need physical structures to protect our border, what is more important to both groups – professed enemies of the President — is preventing him from keeping that promise at all costs. They believe — and according to this poll, rightly so — that the fastest way to defeat Trump in 2020 is to destroy his base of support. Granted, we are a long way off from the 2020 presidential campaign — and a lot can happen between now and then. But, “Build the Wall” is Trump’s quintessential campaign pledge. If Trump is unable to keep this promise, the same Democrats and media who worked tirelessly to ensure the wall was not built — will triumphantly turn around and taunt him for not keeping the promise his entire campaign was built on – and that could spell trouble for his reelection.